A well known destination for those seeking sun, sea and sand, Kaiteriteri is a popular place for families especially in the summer months. The main beach is busy with boats and other water based activities, making the lagoon area to the south side a more popular place for kids to hangout. At low tide this water is mostly ankle deep (for adults) so kids will be able to splash around, walk or swim across to the other side and generally have fun. However when at the change of tides, as the flow of water is fast and where a child could walk right to the other side just a short time later, they might be out of their depth, so adult supervision is definitely needed. 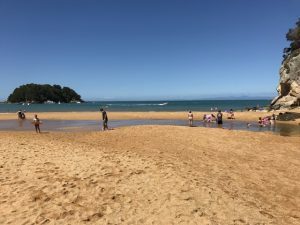 If you’ve had enough of sand and water, the playground just back from the main beach on Inlet Road, is worth checking out with a good selection of equipment to suit most ages, including a climbing wall, slides, monkey bars, swings. The equipment for younger kids has shade sails over it. The playground is fully fenced although there’s also a flying fox which is separate and requires leaving the fenced area of the playground. 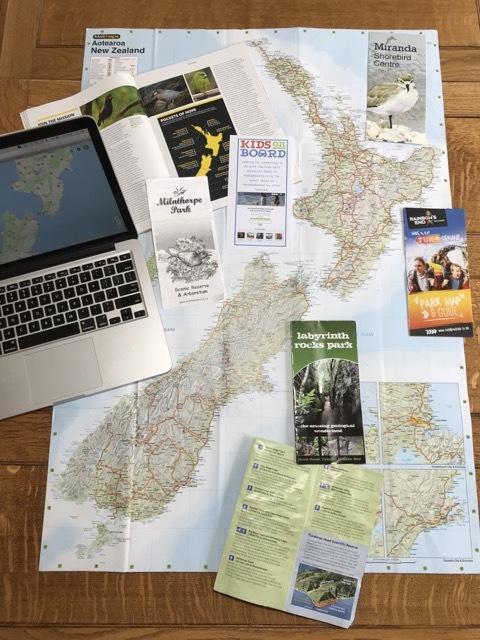 Addresses: Main Beach, Kaiteriteri – Sandy Bay Road. There is free parking at the southern end of the beach on the sea-side of the road. Little Kaiterteri, access points and some car parking along Rowling Road. 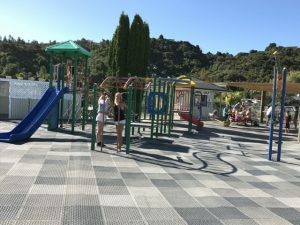 Playground, corner of Riwaka – Kaiteriteri Road and Inlet Road.